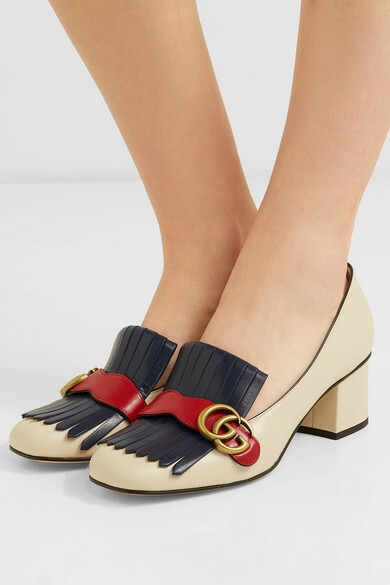 Alessandro Michele uses Gucci's house colors once more to create a new version of its signature 'Marmont' pumps. 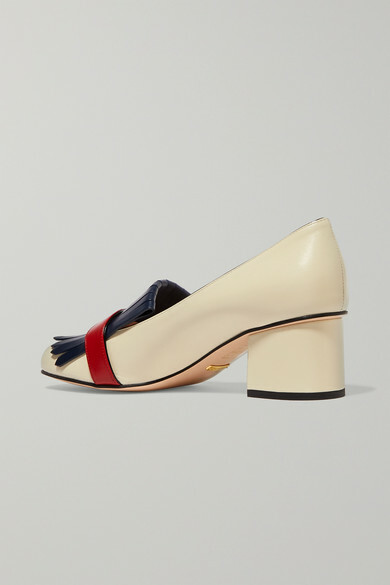 This block-heeled pair has been expertly made in Italy from cream leather and detailed with navy fringe overlaid with a crimson strap. 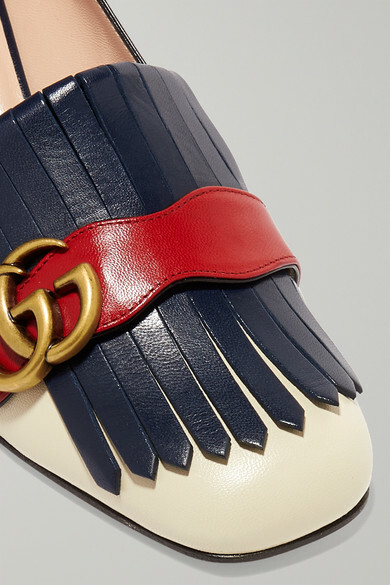 The burnished gold 'GG' plaque sits above it, an archival motif first used on a belt buckle. 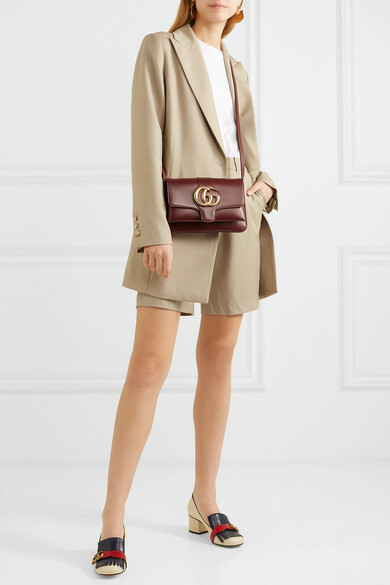 Shown here with: ANNA QUAN Blazer, ANNA QUAN Shorts, ATM Anthony Thomas Melillo T-shirt, Gucci Shoulder bag, 1064 Studio Earrings.